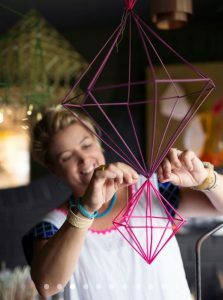 Katrina Johnson is a versatile Brisbane based creative, possibly best known for a stint with her husband Mark on (the TV show) The Block a few years ago! More recently, Katrina creates a varied range of handcrafted products and homewares, including ‘Himmeli’ – traditional decorative hangings from Finland, individually handmade using wheat straw and string. 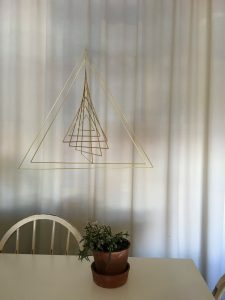 From her Brisbane studio, Katrina creates her own contemporary versions of this traditional Scandinavian hanging decoration in brass, copper, steel and other painted finishes for which we are the exclusive Brisbane stockist. Kelly Southee is a New Zealand born, Queensland based artist. As a former interior designer she has a keen interest in capturing the meaning of a ‘place’ for herself or for her clients: from homes to civic buildings, streetscapes and beyond to striking mountain and wilderness areas. 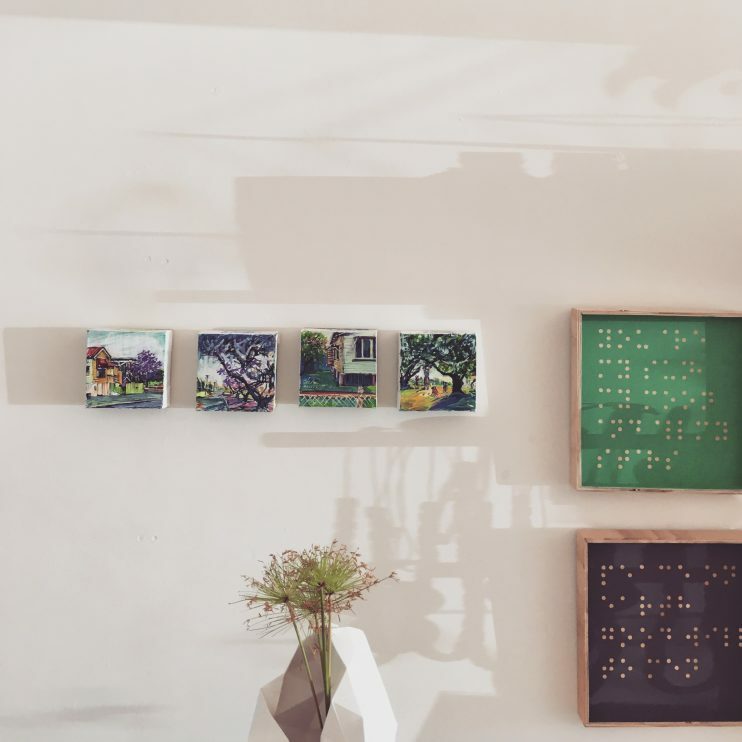 We are grateful to be stockists of Kelly’s ‘mini’s’ – all original and one of a kind works to hang or sit. With a significant history of ceramic studio practice in Brisbane (starting from the 1950’s) these third and fourth generation ceramicists are dedicated to the pursuit of excellence in their field. Whether they work collaboratively or on individual projects, Clairy Laurence and Libby Usher seek to strengthen their visual dialogue with collectors and other artists through their various ranges of functional-ware, and through the exhibiting of singular works created for group or solo exhibitions. Laurence Usher use only the finest materials in their work, creating timeless collectables and art works for all of us. 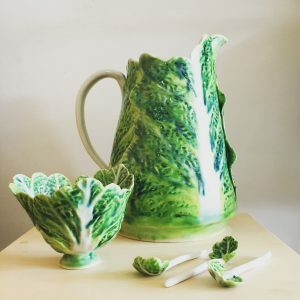 Please click here to purchase cabbage ware. 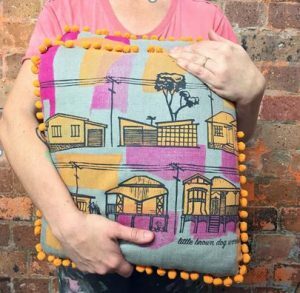 Leigh Schoenheimer is a Brisbane visual artist and maker. 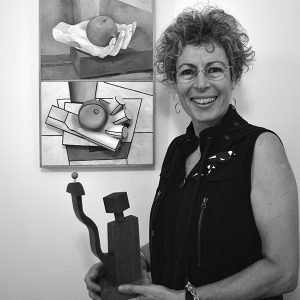 Her practice spans painting, jewellery-making and sculpting. With a strong environmental conscience and a refined aesthetic awareness, she describes herself as a ‘post-modernist with a love of colour’. 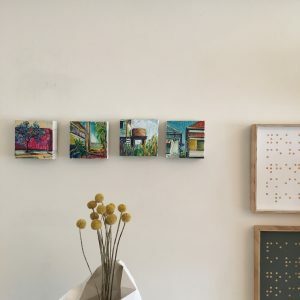 Leigh has exhibited her jewellery work in group shows in Brisbane and Sydney over the past decade, and has had two pieces selected by Lark Books in the USA for publication. 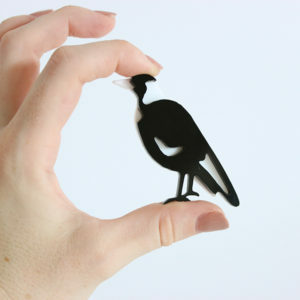 It feels like Leigh’s magpie brooches are made just for us! Bec Lewis considers herself fortunate to have grown up in a creative and thrifty family. Along with a degree in Environmental Management and a personal philosophy grounded in sustainability, this informs her dynamic creative practice. 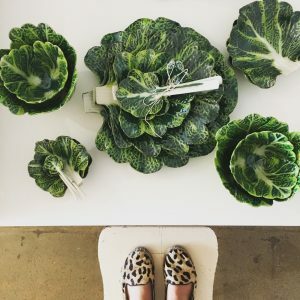 She revels in the challenge of upcycling; searching for beauty and function in unexpected places and preventing the waste of potentially useful materials by re-appropriating items that have already had one life and reworking, reassigning and reinventing them to give them a new purpose and aesthetic. Mooleii is a Brisbane business founded and operated by Amanda and Leesa; two sisters with 6 young children between them. 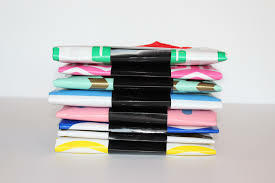 This qualified them to recognise a need for a multi use bag that is water resistant, easily packed away whilst being stylish! 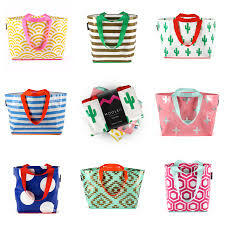 Shop our mooleii stocks here.